With Marscope, simply put in the magnification eyepiece, take the cap off the tube and the red planet is all yours. 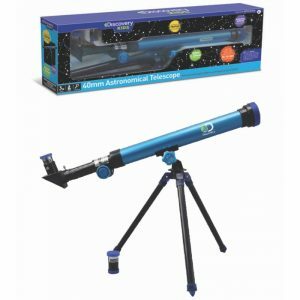 Watch Mars with this Dobsonian Telescope. It is lightweight and compact, easy to carry it anywhere with you. The eyepiece the part of the telescope that magnifies the image for you to see. Without an eyepiece, it would be impossible to see anything. 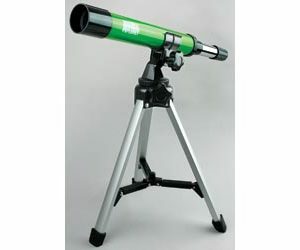 Two eyepieces are included with this telescope, a 20mm and a 6mm. Eyepieces are commonly referred to by focal length and the barrel diameter. The longer the focal length (the bigger the number) the lower the magnification. You can change the power of your telescope by simply changing the eyepieces. To work out the magnification of your telescope, you need to divide the focal length of the telescope by the focal length of the eyepiece. 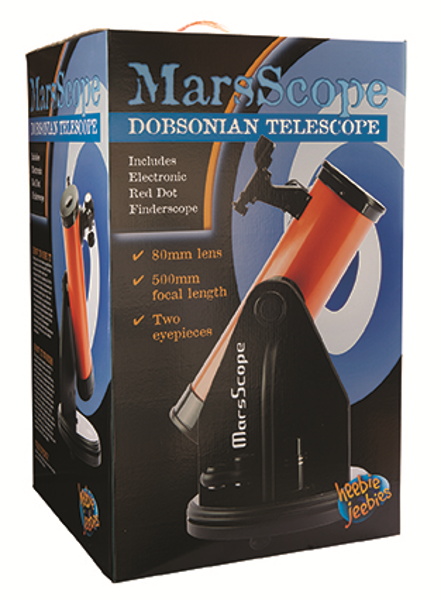 This marscope is designed to be used on a table or other sturdy surface. To install your chosen eyepiece, remove the cap over the focus tube. Make sure the thumbscrews are not protruding into the tube, then insert the barrel of the eyepiece into the tube and tighten the thumbscrews. To point the telescope, loosen the lock nut by turning it counter-clockwise and hold the tube end. Move and sight along the optical tube towards the object you want to look at. Tighten the lock nut. A red dot finderscope is useful for helping line up your mars scope with the object you want to look at in the sky. 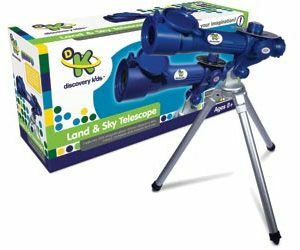 They project a small red dot onto a screen, you aim the telescope by lining up the red dot with the centre of the object. Occasionally, dust and moisture can build up on the mirrors of the telescope. Special care should be taken when cleaning them as to not damage the optics. If dust has built up, use a brush or a can of pressurized air to your mars scope. Spray at an angle to the mirror surface for 2-4 seconds. Then use an optical cleaning solution and white tissue paper to remove any left over debris. Apply the cleaning solution to the tissue, then carefully lightly stroke from the centre to outside of the lens. Do not rub in circles. Dew may occasionally build up on the optics of your telescope while you are observing through it. Either evaporate using a hair dryer on low heat or point the telescope downward until it is gone. Replace all covers when you are not using the telescope to minimize the need for cleaning.